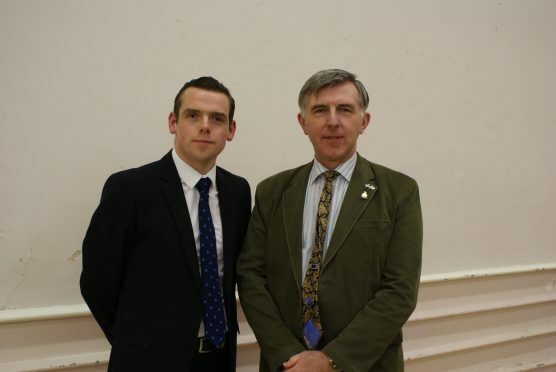 Highlands and Islands MSP Douglas Ross, pictured left, believes Donald Gatt's experience will be an asset to Moray Council. A former UKIP candidate will stand for the Conservatives in next month’s Moray Council elections. Donald Gatt has been named as the Tory candidate for the Keith and Cullen ward, which means the party will be fielding a representative in every area. The civil servant at RAF Lossiemouth contested the Moray seat for UKIP in the 2010 General Election and the Scottish Election the following year, finishing fifth on each occasion with the fewest amount of votes. Mr Gatt served in the RAF for 24 years before working in the food processing industry and at Dr Gray’s Hospital. While announcing his candidacy for the May 4 vote, he stressed the need to support businesses in the region to build the local economy. He added: “I was very proud to serve in the RAF with men and woman from across Great Britain. I will oppose any attempt by the SNP to use Moray Council as a platform for advocating the break-up of our country. Mr Gatt joins confirmed SNP candidates Teresa Coull and Iain Grieve on the ballot for Keith and Cullen. The final list of candidates will be published today. The three current councillors for the ward have already announced they are standing down.